Did Apple want to include Lytro tech in iPhone camera? Could we see Lytro camera tech in the next iPhone? It has emerged that during his final months, Steve Jobs met with the founder of Lytro, to discuss the possibility of working with the company who produce a "light-field" camera to discuss a possible partnership. The Lytro Light Field Camera works by capturing an entire field of light, meaning that users can take a picture and then choose a different focus point later. It has been claimed in the upcoming book Inside Apple by Adam Lishinsky, that last summer, Steve Jobs met up with Ren Ng, the founder of Lytro, who demonstrated the technology and discussed cameras, product design and things Lytro would like to do with Apple. 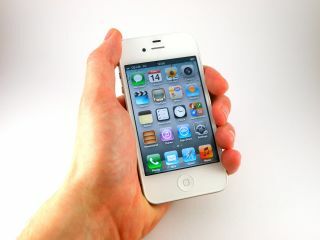 The on-board camera of the iPhone 4S was one of its headline features. It includes a wide-apertured 5 lens system for taking on board lots of light. Including Lytro technology on a phone would make picture taking almost instant, since it wouldn't rely on the camera having to focus first. Apple is of course notoriously secretive about its future plans, so it's nigh-on impossible to tell if this meeting will actually lead to something being adopted in future versions of the iPhone, but it seems that if it does, it would probably be yet another nail in the coffin for compact cameras. That is, if another camera manufacturer doesn't attempt to buy up the tech first and implement it into its own devices. Currently, Lytro tech is only available in its own range of cameras, but with limited controls.